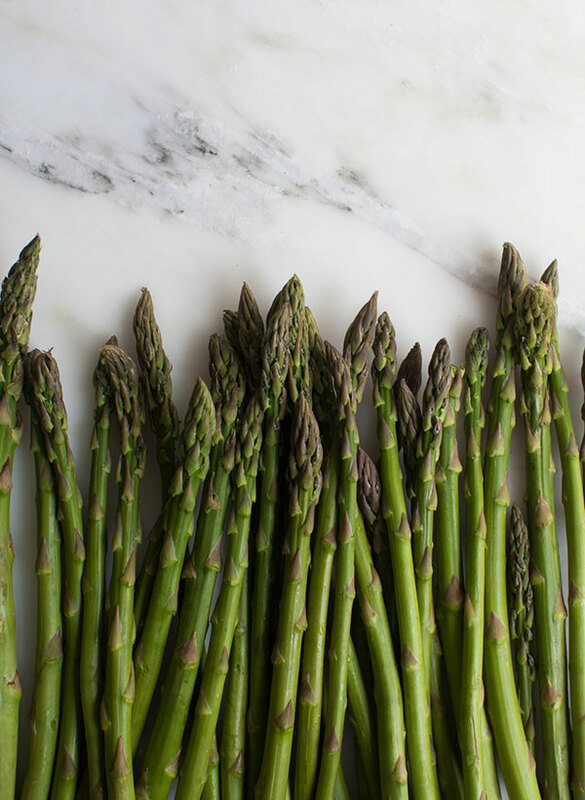 Asparagus! Again! I know, I know. I can’t help it. I bought a lot at the store and I needed to make good use of it. A few weeks ago I was in Chicago for Memorial Weekend and we were were a bit sick of the restaurant routine and were craving a homemade meal. 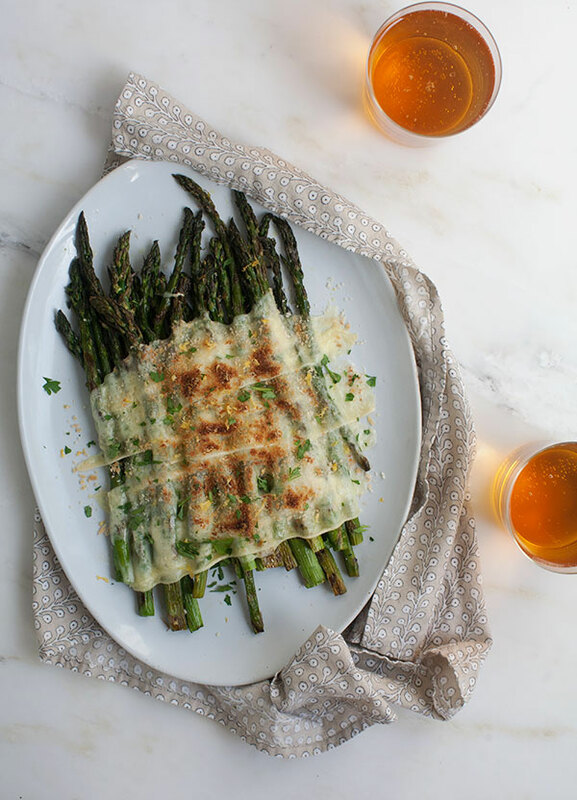 We went to Publican Quality Meats and picked up some beautiful asparagus, which we were planning on grilling, and I additionally got the bright idea to melt raclette over them after I spotted it in their cheese case. Raclette, if you’ve never had it, is divine. It’s known for its meltability and in most parts of Switzerland it’s melted (sometimes) in front of a fire and eaten with all sorts of delicious things: meats, breads and vegetables. Today this is my very American version. I grilled the asparagus over an open flame (I love char). 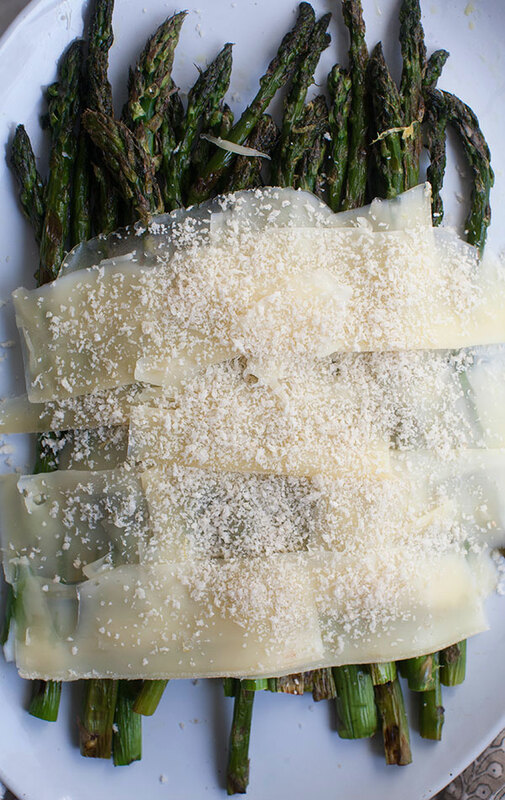 And then I thinly sliced the raclette and layered it over the bed of asparagus. I topped with it with sprinkling of panko bread crumbs and set it right under the broiler until brown and toasty. And then I added a good amount of lemon zest because anything super rich needs something to cut through it. This side dish is spring meets summer; it’s simple and one of the most delicious things I’ve made in a long time.